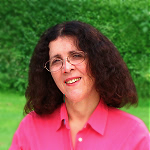 Lynne has a BSc from the University of Southampton and an MSc from University College London, both in economics. She was a UK Government economist for 16 years when she worked on a wide range of issues including consumer behaviour, revenue forecasting and transport. From 1998 to 2006, she was in the Digital World Research Centre at the University of Surrey. The Centre comprised a multi-disciplinary team looking at the relationship between people, society and technology and much of its work focussed on communications. In 2010, she completed her PhD, sponsored by Microsoft. She was supervised by Nigel Gilbert (and initially Christine Hine), with Richard Harper as external supervisor. She used agent-based modelling to examine the relationship between new communication technologies and travel. She is now a visiting fellow at CRESS and is assisting with the ESRC project 'Agent-Based and DSGE Macroeconomic Models: A Comparative Study', led by Paul Levine. 'Agent-based modelling in economics', written jointly with Nigel Gilbert, was published by Wiley in 2016. Details.